As a parent it can be tricky to find great books for your boys to read. You want books to help develop and encourage your child’s reading and you also want books that your child will enjoy and want to finish. We have found this with our own son from the age of 6 to 11. Here is a list of 10 great boys books as voted for by the person who matters – our son – who read them all (and rejected several others). We hope you find this book list useful for the boys in your life. A boy’s own war-time adventure through the eyes of a horse. Now also a film and play, but apparently the book is the best format of all. A Roman adventure and page turner, with lots of suspense and historical references. If you want to inspire learning about Roman life, what better way than to introduce this book? Before they managed to massage this story into three films, this book was the best introduction to the world of J R R Tolkien. It is action packed and surprisingly short, unlike the giant saga that followed. Non-stop action and mayhem. Like a cross between James Bond and Star Wars or as the reviewers put it ‘a rollercoaster ride’ in book form. It also has a great sequel to follow-up. Another boy’s own story, this time set in World War II England. What would your son do if he discovered a crashed German Bomber complete with machine gun? Action and surprises all the way. 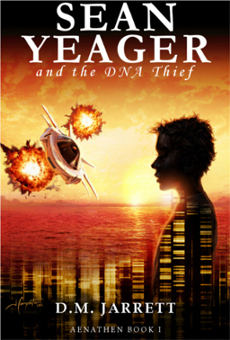 One of several great stories from the popular Alex Rider series. An orphaned James Bond like child sent on dangerous missions. A hero in our household, Stephen Biesty is an incredible illustrator and this book is simply breathtaking in it’s detail and layout. For any budding designers or boys who like to take things apart. The original and best, provided of course you can suspend disbelief about the Greeks not moving to the US. And of course there are plenty more Greek myths elaborated on throughout the series. Hope you find some great reading in our list to inspire the boys in your life. Above all we hope they have fun reading and developing their curiosity for learning. This entry was posted in action book, adventure books, book series, books, books for boys, boys' booklist, children's book, ebook, great books, great new book series, inspiring children, middle grade, parenting, parenting boys, parents, reading, sean yeager adventures, writing for boys, young adult and tagged best books, book list, books, books for boys, boys reading, boys' book list, middle grade, parenting, parenting boys, reading for boys, young adult on October 11, 2015 by D.M. Jarrett. Five great book reading tips for boys. Boys can sometimes be reluctant to read books and let’s face it they often have plenty of other distractions. Recent research has shown that regular book reading and progress with reading development are key indicators of success at school. So how can carers and parents encourage boys to read more often and more widely? Here are some tips to help the boys in your life read more I hope they help. In this way they will feel empowered and given the choice of what they would like to read. Be careful though not to limit their choice too much. Most people like to feel they have a say in their life choices and boys are no different when it comes to books. And by the way, physical books are far more attractive than e-books or worse a computer file (where they can easily pretend to be reading). If your boy likes reference books about sports cars, go with the flow. It’s worth bearing in mind that any reading can be good reading. Of course there will be some exceptions, but if they love Mutant Alien Zombie Slimebugs from Lincolnshire and the book is a harmless read, where’s the harm? You can always insert a few more traditional choices alongside their apparent favourites. A regular time before sleep or early in the morning can work really well. As can ‘dead time’ in a car or while waiting for an out of school class. As a parent I have found that regular slots work best and when my son has a book he really enjoys it is so easy, he simply wants to find out what happens next. Peer pressure is a huge factor as your child reader grows up. If their whole school is interested in Harry Potter or a similar high profile title seize the opportunity. They may not like each book just because their friends and rivals do, however it’s another string to your bow in convincing them to read in a soft way. Their motivation being the key point here. If all else fails, reward reading minutes with another currency. It may not be money, it could be time spent doing something else they enjoy. To succeed though they must always earn their reward before being allowed to indulge in their laptop, computer games or football (for example). Bribery may not be ideal, but it can work if used sparingly and provided promises are kept on both sides. This entry was posted in book series, books, children's book, middle grade, moms, mums, parenting, parenting boys, parents, reading and tagged book series, books for boys, boys reading, children's book, encouraging reading, middle grade, mums, parenting, parenting boys, parents, reading, reluctant readers, young adult on September 9, 2015 by D.M. Jarrett.